Mercedes introduced a raft of changes to the W06 in China, the rear wing and cooling changes I covered for Grand Prix Times whilst the new front wing I covered for PlanetF1, of which has led to Mercedes amending their front brake duct too. 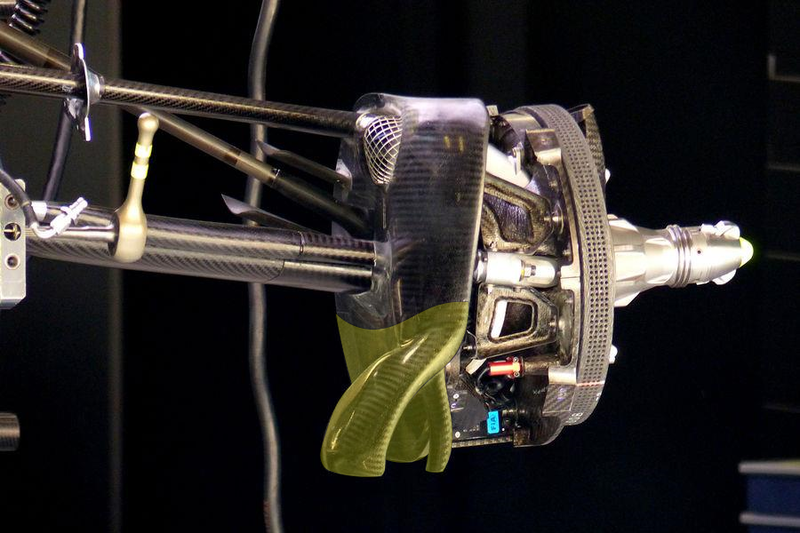 This year the team opted to run a scoopless brake duct configuration, although a small scoop has since arisen in the top quadrant of the housing (mesh covered entry). The brake duct is a composite of elements, making changes of specification easier at each circuit based on the level of cooling required. A new lower section was used in China (upper image (via AMuS)), taking advantage of the new front wing design, with the low leading edge of the brake duct assembly now forming the splayed fin. 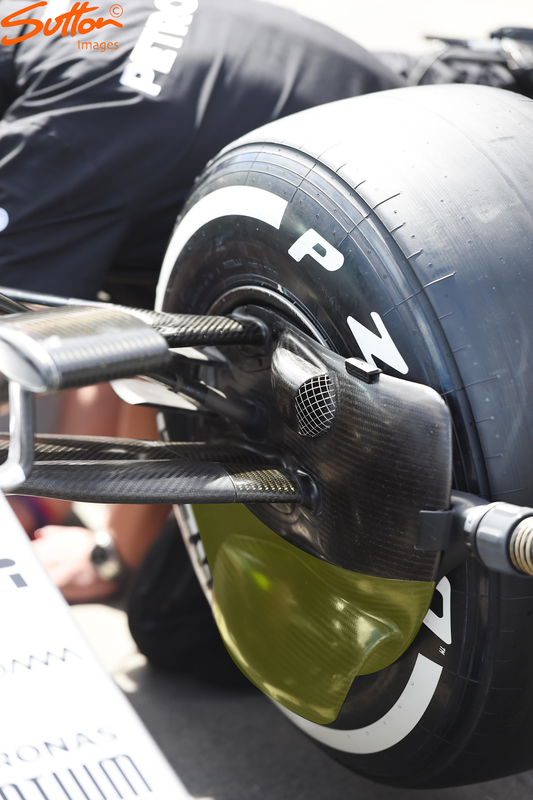 The fin guides airflow around the inside of the tyre, sending it along a desirable path, whilst minimising the disturbance to the Y250 vortex and airflow fed around the front face of the sidepod. The joining of the main fin with the brake ducts leading edge means that other control fins are now added and exposed to further manipulate the airflow. Thanks for showing these masterpieces of design! They look organic, almost not man made.